DNV GL DPO is an internationally accepted training from DNVGL which allows preparing DP operators for shorter period of time without compromising on the quality. DNV GL DPO is an alternative training to traditional NI scheme. DNV scheme has high standards and requirements. Both certificates (NI & DNV) are internationally accepted. Main advantage of the DNV course is a possibility to receive international DPO certificate for those who stuck or has difficulties with the NI for some reason. Lerus Training Centre offers an intensive course to prepare yourself for DPO Examination part of the scheme. Examination consists of theoretical and practical parts. The assessment is strictly controlled in order to make sure that trainee satisfies all requirements and worth to receive DPO certificate. 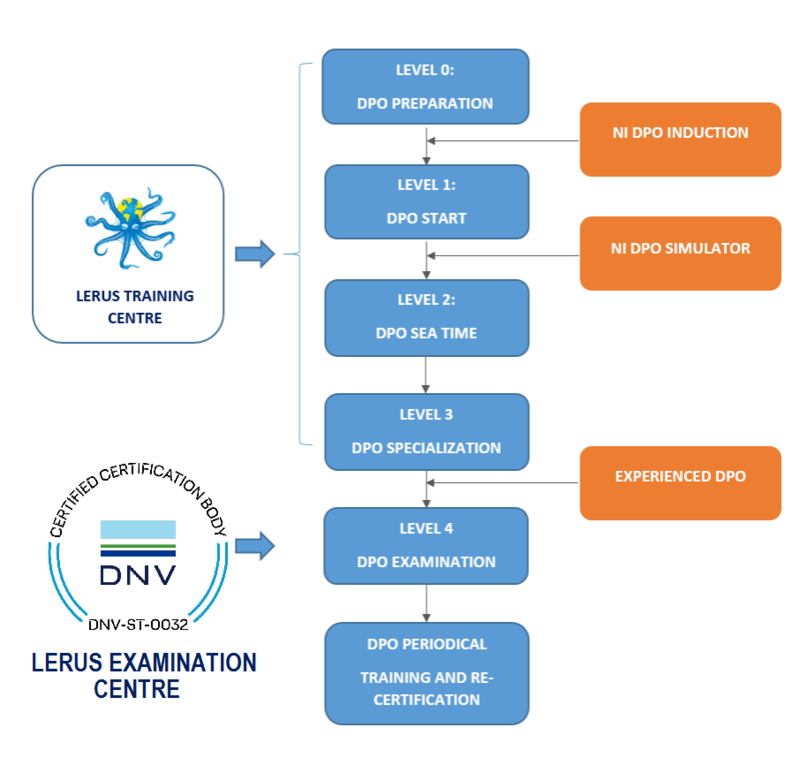 DNV GL DPO Experience Registration and Task Book Form according to the Lerus Test Centre requirements for DPO duty reporting. (*) To apply the DNV GL DPO exam, candidate should have 270 hours of DP experience or DPO Simulator Course certificate of NI scheme and have appropriate skills for manual ship handling with common type of propulsion.